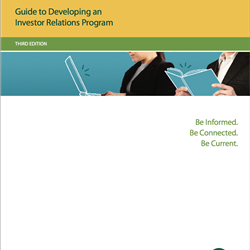 CIRI’s Guide to Developing an Investor Relations Program, Third Edition offers the knowledge required to develop and manage a successful investor relations program. 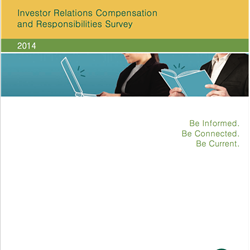 If you are new to IR, this Guide is a ‘must have’ resource for your IR tool kit. If you are reviewing your existing IR program, this Guide can help identify gaps or areas of opportunity. No comprehensive program exists that teaches the unique combination of skills and knowledge required to be successful in investor relations. Those new to the investor relations (IR) function are often overwhelmed by the responsibilities and uncertain where to begin, and what questions to ask. Do you have questions about the ever-evolving best practices and regulatory changes for Corporate Disclosure? These guidelines provide IR professionals with an outline for developing a disclosure policy and practices for handling a variety of situations. 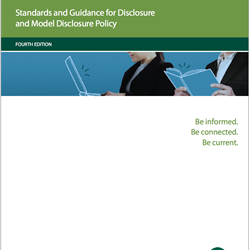 This fifth edition of Standards & Guidance for Disclosure and Model Disclosure Policy is available in electronic format only.